1 - the Full text tab shows the full Document images of the scanned book (the number of images which make up the document image is displayed in the box between the navigation arrows). 2 - the View thumbnail page images link will open the Thumbnails page. Clicking on any of the thumbnails on that page will lead to the relevant Document Image page. 3 - the Full text - PDF tab shows the PDF version of the document image, that can be read online or saved offline. 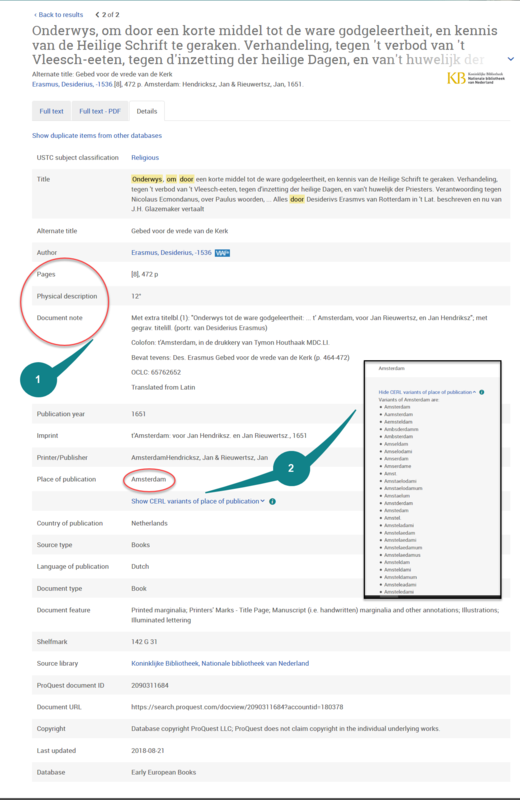 4 - the third Tab will show the full Indexing details of the document. 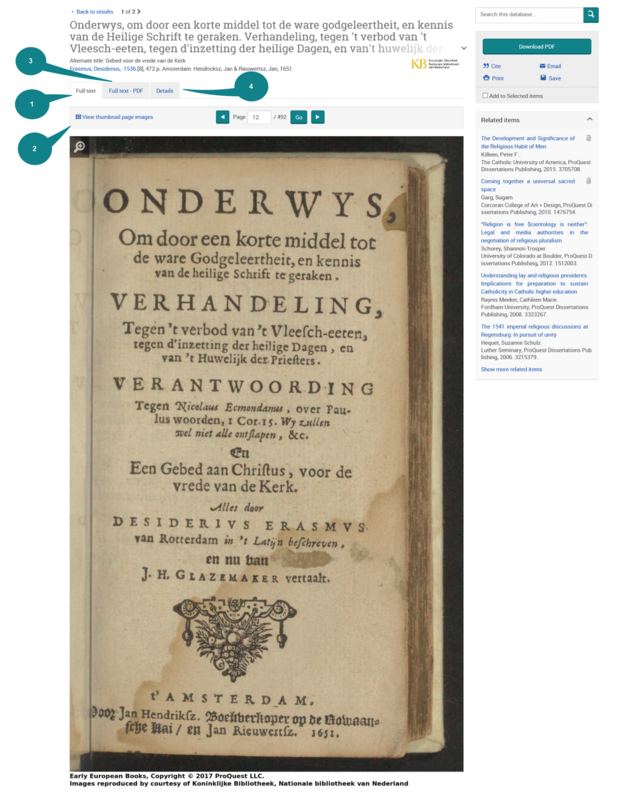 You can open a bigger version of the viewer by clicking the plus magnifier at the top left corner of each document page . This will open the flash viewer in a new window - you will need to close the window to return to the original document image page. 1 - in the Flash version of the document image, you will see a set of controls displayed below the image. By default the image is shown fully zoomed out and centered in the Flash viewer, you can use the controls to enlarge or decrease the size of the image, rotate the image clockwise and counter-clockwise, and move it in different directions. 2 - The navigator panel below the image displays a sequence of thumbnails of the pages and highlights the one you are currently displaying. 3 - To move the image click the image itself and drag it in the chosen direction. The indexing details section of the record contains as much information about an item as possible. The details may vary depending on the availability of information. See more information about indexed fields in the Searchable Fields page.